Malibu is an original Caribbean coconut rum, born and lives in a place where spirit of summer shines all year around. 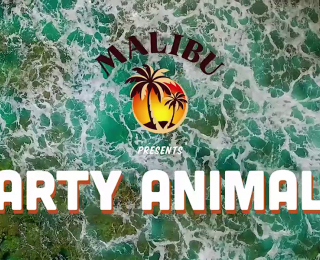 Every drop of Malibu is filled with sun, music, parties, new friends and adventures. Malibu will help you to have the best summer of your life. Produced on the island of Barbados, Malibu owes its unique taste to a refined blend of Caribbean rum, natural coconut flavours and high-quality pure cane sugar. Malibu is produced using traditional methods and advanced technologies. The sugarcane juice is heated to create unrefined brown sugar from which the syrupy molasses is extracted. A blend of water and yeast is then added to facilitate fermentation. This is followed by three successive distillation stages, carried out in high vats specially designed at the famous West Indies rum distillery. Transferred to oak casks, the smooth, light white rum obtained is blended with coconut. Malibu is recognisable by its famous white bottle illustrated with palm trees and sunset background.